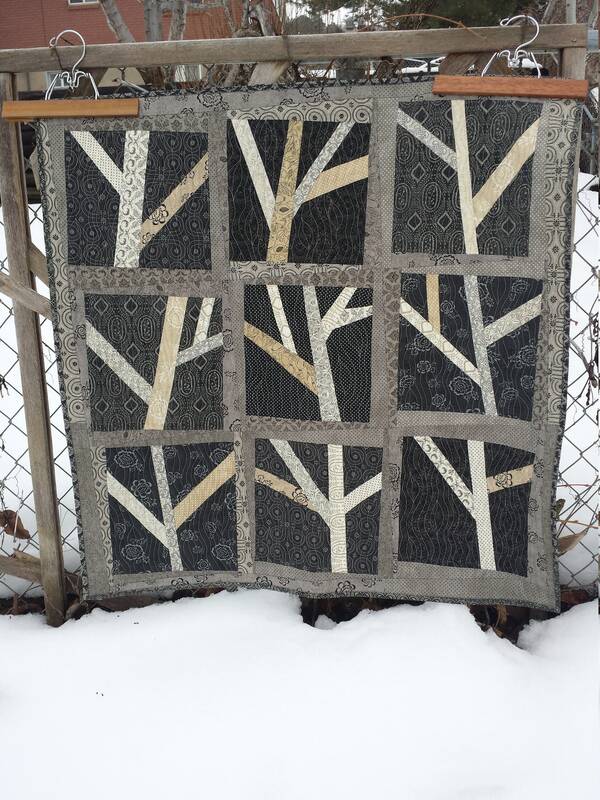 This modern quilt of scrappy trees is a fun make. 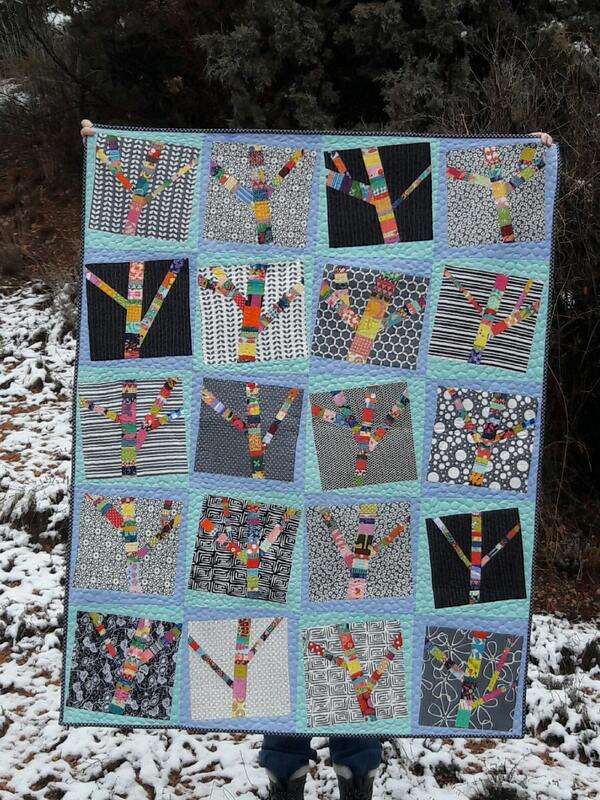 Pre-cut layer cake squares for backgrounds make it easy to have a variety with out buying a lot of fabric. 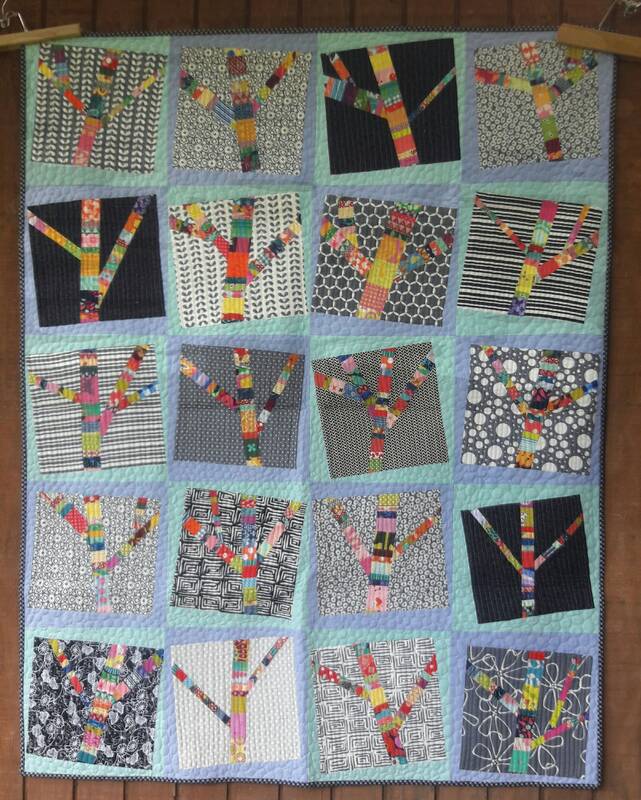 Throw size quilt: 50" x 60"